There was a fatal train crash in Hoboken, New Jersey, on Thursday, Sept. 29 that left at least 100 people injured. But the last New Jersey transit train crash happened two decades ago and involved two trains colliding, both moving inbound to and outbound from Hoboken. At the time, the 1996 crash was the worst commuter train accident in the metropolitan area since 1958, and endangered more than 700 passengers as the two trains rammed into one another on tracks above a Jersey City marshland. The 1996 collision and the crash two decades later occurred at almost the exact same time — the two trains struck along the tracks at 8:40 a.m., while the Hoboken train crashed into the New Jersey station at 8:45 a.m. on Thursday. Both incidents occurred at the height of rush hour for commuters moving between New Jersey and New York. 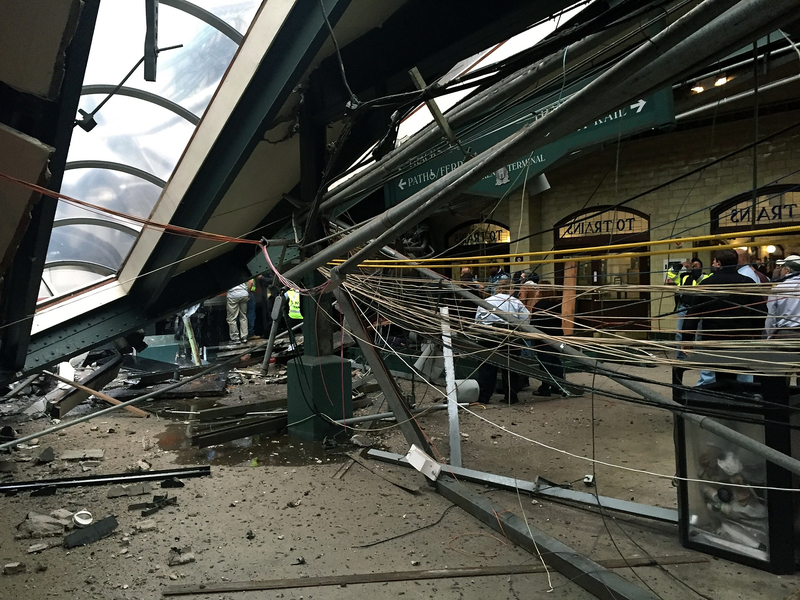 This last New Jersey transit crash was considered the worst of the transit system's then 12-year history, killing both engineers and another passenger as one train failed to stop at its signal and was hit by the other oncoming train. In addition to the three fatalities, another 162 people were injured in the collision, with at least 16 suffering major injuries. In the day following the crash, The New York Times reported that it was not yet known whether the failure to stop was caused by human error, a problem with the signal, or fault with the train itself. Passengers on the trains described the horrific scene, recounting to The New York Times the gruesome seconds as the trains collided on the Y-shaped crossing of the tracks: "Everything went flying — people, metal, seats," said passenger John DiMurro. "It went on three or four seconds. Everyone was yelling and screaming and flying. Something hit me in the face. Then the train just came to rest, tilted at an angle, and there was eerie silence." This inbound train was struck and derailed by the outbound train from Hoboken, launching its some 100 commuters into chaos. Other passengers from the outbound train told the publication of a sudden, lurching stop, as the engineer apparently became aware of the imminent disaster. In their March 1997 official report of the crash, the National Transportation Safety board said that the cause of the collision was due to "the failure of the train 1254 engineer to perceive correctly a red signal aspect because of his diabetic eye disease and resulting color vision deficiency." The Safety Board concluded that the engineer consistently failed to report this color vision deficiency during annual medical examinations.